Lincoln Medical Center’s new certified nurse-midwives would like to take this opportunity to introduce you to our profession and thank you for letting us be part of your health care team. We are excited to bring midwifery care to the women and families of the Tennessee Valley! Certified nurse-midwives are advance practice nurses (like nurse practitioners), and are legal in all 50 states. They have Master’s degrees in Nursing with specialized training and certification in midwifery care. The majority of certified nurse-midwives in the United States attend births in hospitals, like we will here at Lincoln Medical Center. 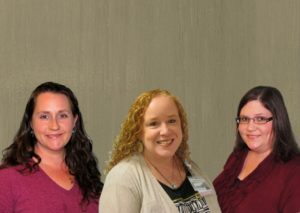 We practice as part of a health care team with Dr. Emily Evitt, providing care to women of all ages. Our services include prenatal, birth and postpartum care, well woman care, family planning (birth control), as well as minor GYN concerns. For more information or to schedule an appointment with one of our midwives, please call us at (931) 433-1105 or visit our website at generationstnvalley.com. I deeply appreciate all of the diligent work that this facility is doing to help make options and safety a priority for mothers and babies in their community and surrounding areas.